New Orleans — This week animal advocates filed a motion for a preliminary injunction asking a federal court to take immediate steps to stop the Army’s illegal roundup and sale of Louisiana’s wild horses pending their lawsuit’s resolution. In 2016, Pegasus Equine Guardian Association (PEGA), led by attorneys with the Tulane Environmental Law Clinic, sued the Army over plans to evict roughly 700 wild horses from a western Louisiana Army base and national forest areas that are used in trainings. The lawsuit alleges the Army violated laws, including the National Environmental Policy Act and the National Historic Preservation Act, by asserting it did not need to prepare an environmental impact statement for the removal of the horses. The Army also omitted other requirements, such as ensuring nonprofit organizations could put groups of horses up for adoption, rather than the horses being sold for slaughter. The plaintiffs filed today’s motion in an attempt to restrict the Army from moving forward with its plan, pending the lawsuit’s resolution. The Army has recently ramped up its efforts to evict the horses, leading to speculation it will try to moot the lawsuit by completing its plan before the issues can he heard. For decades the horses have been living on, and part of, historic Fort Polk and Kisatchie National Forest areas. Horses have ranged free on this property long before Fort Polk existed. 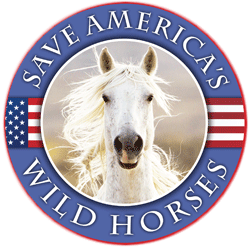 Animal advocates fear that the Army’s current, controversial plan will result in the slaughter of the majority — if not all — the wild horses due to the difficulty in rehoming horses who have been wild for generations. The Animal Legal Defense Fund works with law schools across the country to expand their curriculum of animal law related classes and clinics. The organization’s expert animal law attorneys provide support and advice to programs, such as Tulane Environmental Law Clinic. Pigeon shoots – that HSUS said it stopped – continue in Maryland. Why did HSUS misinform us – and you? Feral horses are a myth. Debunked by Advocates during accusations of mass horse herds being dumped. Rumors spread meant to ship horses directly to slaughter. Again these same myths are debunked when you consider that a feral horse is a single generation animal and all resulting foals born in the wild are wild horses. In turn, horses that were domesticated were caught while wild and returned to the Wild being trained or bred and used and subsequently returning to the Wild again. The fact is…..all these horses need protection. As we all know in New Mexico and Texas horses were released that did not qualify for the Mexico plants standards and those rejected horses were turned loose to die. The myth is perpetuated in order to make it appear like a dog pound theory. Making horses appear and unwanted mutts that go uncured for while in fact they are actually horses that are perfectly capable of living for generations on their own inherent traits. 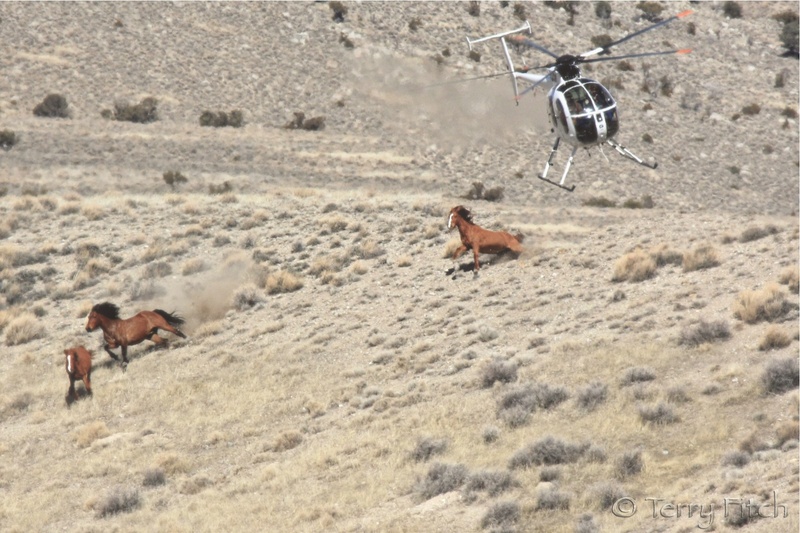 They want to kill these horses in much the same way they used to Destroy those considered mutts are destroyed. Today we view dogs not as mutts but as Dogs, friends, pets, and mixture or purebred they are family. The horses are NOT feral or mutts to be Destroyed they are herds of horses living in family groups that deserve to live. “As one of the Peason Ridge Heritage Family members I am very saddened by the decision made by the United States Army and General Timothy McGuire to do away with all the magnificent wild heritage horses that have roamed Peasn Ridge and the area of Camp/Ft. Polk for generations. One of the characteristics on why the settlers and homesteaders actually settled on Peason Ridge was due to the large open highlands and grasslands where large herds of cattle, horses, goats, sheep, and other livestock could be raised. On Peason Ridge these settlers brought something with them from England. They set aside 16 full sections of land for just livestock grazing. This was a reflection on how the large landowners had set aside lands for their livestock to graze on in England and servants an serfs could not have any use of these lands. Peason Ridge began to be settled in 1818 and from the days of the Native Americans to the first settlers and on until the lands were taken by imminent domain in 1941, there have been horses on this landscape and they have become a part of this landscape and a part of the aspect of nature. During the many years England Air Force Base was in operation, Peason Ridge was used as the bomb and gunnery ranges for the 23rd Tactical Fighter Wing (Flying Tigers). Members of my family worked for the US Air Force and they conducted all the scoring operations on every flight of aircraft that came onto this range. And in all those many years, even during the days of Vietnam Training where there were continuous training missions by aircraft of every type, day and nite, and even flown by South Vietnamese and other allied nations pilots, THERE IS NO RECORD OF ANY MISSON BEING COMPROMISED BY THE HORSES OR ANY LIVESTOCK. I differ in what Fort Polk is declaring as they are “unsafe and cause training incidents and accidents”. These horses have not caused training accidents but people sure have ! The United States Army has declared these historic horses “trespass horses”. No they are not trespassing, they are on the lands of my ancestors and the ancestors of these horses. I want help set your record straight because much of the information being released by the U.S. Army is incorrect and very prejudicial toward both the Heritage Families and these Heritage Horses. These horse on Ft. Polk and Peason Ridge are not livestock and are subject to the state’s animal cruelty laws. There are both state and federal laws that the United States Army is attempting to circumvent in destroying the horse herds. And as part of the federal government, the United States Army has to comply with both federal and state laws. A description of LIVESTOCK is animals that have been used or raised on a farm or ranch. These vast majority of these horses were born wild on Peason Ridge and Ft. Polk and have never been domesticated in any form or fashion. This definition of livestock is used in both federal and state laws pertaining to all types of animals which includes horses. An even deeper definition of livestock is as follows(state/federal laws):”Livestock” means any animal bred, kept, maintained, raised, or used for show, profit, or for the purpose of selling or otherwise producing crops, animals, or plant or animal products for market. This definition includes cattle, buffalo, bison, oxen, and other bovine; horses, mules, donkeys, and other equine; sheep; goats; swine; domestic rabbits; fish, turtles, and other animals identified with aquaculture that are located in artificial reservoirs or enclosures that are both on privately owned property and constructed so as to prevent, at all times, the ingress and egress of fish life from public waters; imported exotic deer and antelope, elk, farm-raised white-tailed deer, farm-raised ratites, and other farm-raised exotic animals; chickens, turkeys, and other poultry; and animals placed under the jurisdiction of the commissioner of agriculture and forestry and any hybrid, mixture, or mutation of any such animal. These horses are not legal livestock and cannot be sold for slaughter or destruction since they were not raised as livestock on a farm. They have NEVER been properly managed by the United States Army in the 75 years Ft. Polk has had control of these lands. There also is information that is incorrect given out by the United States Army concerning the health of the horses on Peason Ridge and Ft. Polk. More than a decade ago several people were involved in the testing of the horses when former La. Commissioner of Agriculture, Bob Odom, claimed that the Ft. Polk and Peason Ridge horses were carriers of the EIA infection. Tests were conducted during that time and NO HORSE WAS FOUND TO TEST POSITIVE. The army contends that they have an “unsupported claim that a horse from Ft. Polk tested initially positive for EIA antibodies”. This could have been a false positive (any horse that tests positive is routinely re-tested). Or, it could have been an EIA positive horse that was abandoned at Ft. Polk. In the Environmental Assessment the army does say no subsequent test-positive situations have been found. The environmental conditions at Ft. Polk and Peason Ridge are not conducive to the transmission of EIA Virus – which requires vector infestation and many transmitting bites. The EIA infection has significantly declined in the past several years and very few horses now contract EIA infections any more. 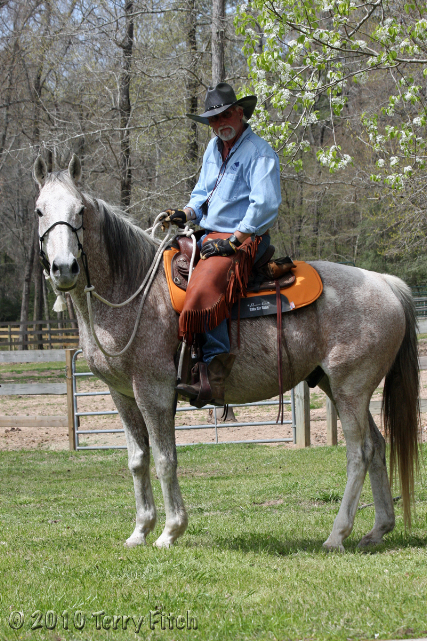 Throughout the early days of the settlers, the Neutral Strip, the Civil War, World War I, the logging heydays, and until World War II and the Louisiana Maneuvers there have been horses on these lands. Durring the mill run of the Peavy Wilson Lumber Company in Peason this company had a very large herd of horses, mules, and oxen that were used in the many various logging and lumbering operations in the area from 1917 till the mill closed and moved in 1935. During the years of 1917 to 1935 Peavy Wilson Lumber Company owned over 45,000 acres of land, much of what is now Peason Ridge Military Reservation. Even though logging was more mechanized, there was an extremely large group of horses, mules, and oxen owned by the company and kept in a large corral area, now on present day Peason Ridge. These animals were used to help skid and haul the massive logs to the mill at Peason. In 1935 the mill run ended and the company moved to Florida, but the older horses, mules, and stock was turned loose on the cutover lands. The 2 last known log mules died in 1978 but there are ancestors to these animals still residing on Peason Ridge. In 1941 the United States Army conducted the largest field maneuvers ever held in its history in Louisiana. 2 full cavalry divisions, the 1st and 2nd Cavalry Divisions, were throughout this area, and a remount section to supply replacement mounts was situated on present day Peason Ridge. Any mounts that were injured, sick, or lame after being checked by US Army Veterinarians were turned loose , and some were even sold to local farmers. These horses and mules also became intermixed with the horses and stock left by Peavy Wilson Lumber Company. By August 1942 the 29 Heritage Families of Peason Ridge, along with at least 35 sharecropper families were removed. Often given just a few days to move by US Marshalls, they were forced to leave with only a few possessions. And sadly, they were not paid for their farms for 1 year. And during this exodus only a small amount of the large herds of livestock were moved. As many cattle were moved as could be accomplished, but horses and mules were abandoned. Thus more horses and mules joined the large herd on Peason Ridge and they continue to live at this location to this very day. They have lived as part of this landscape all these many years. As I grew up we were allowed to run our cattle on Peason Ridge and the horses intermingled with our cattle. Most people have never got to be out on the range and actually see cattle and horses grazing so peacefully together. Mr. A.J. Hodge, founder of the beautiful Hodges Gardens in our area, when he purchased the land for this site known as “the Garden in the Forest” would tell any and everyone that horses and cattle helped to make the forest’s much more productive as they grazed and helped keep down underbrush. And prescribed burning does not do it alone. Some animals and the landscape do work together. As a descendant of the Peason Ridge Heritage Families our heritage and culture has almost been completely lost due to the takeover of the old home places. But there is one thing left of our culture, heritage, and history. This is the wild horses that have resided here for these many many decades. Besides being part of our local history and heritage, these animals are part of the history, heritage, and culture of Louisiana, of the history, heritage, and culture of this southern region of America, but also a part of the magnificent history, heritage, and culture of America itself. When the United States Army at Ft. Polk first declared in August 2015 that the horses were to be removed many people have wanted to assist the army with this matter. One thing of vital importance that has never been considered by the Army is HERD MANAGEMENT. With proper herd management these horse herds can survive at their locations and can continue to be part of the landscape. Instead of the removal and destruction of these wonderful animals, let us work together on this issue. There are many many people, myself included, who would volunteer to work diligently with the army to assist in management practices that would benefit the United States Army and Ft. Polk, the local communities, and most of all, the Heritage Families. Ft. Polk has repeatedly told us that they were the “stewards of our old home places” and continuously say that the Red Dirt of West Central Louisiana has been carried all over the world by the soldiers who train here. That red dirt was once our ancestors farm lands and it holds a special place in our hearts. After all these many years, and of giving up their homes and their way of life, as a Heritage Family Member all we have left remaining of our culture, heritage, and history is these wonderful horses. I ask the command structure of the United States Army to carefully consider the options of managing the horses and let us local folks, and not so local folks, along with Heritage Family members assist in being a part of saving these horses for generations to come to see and enjoy. Throughout my life almost every situation that I have encountered involved teamwork and with teamwork you are a winner every time. Let’s work together as a team….and we all will be a winner including the horses ! Save the horses ! This comment says it all..